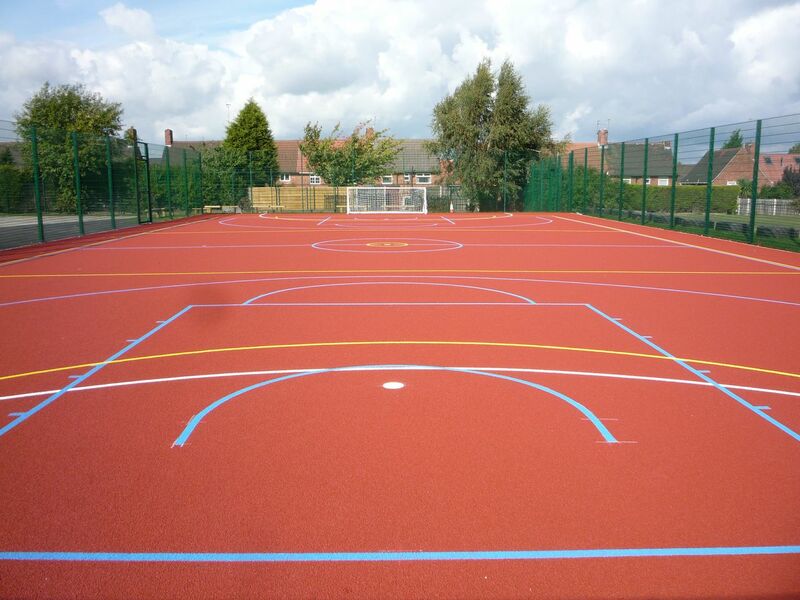 We can apply basketball court line marking and anti slip paint coatings in a variety of contrasting colour designs to give a professional looking finish which can be customised to fit with school or team colours. 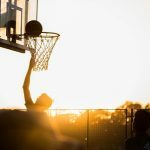 These paint coatings provide excellent grip and slip resistance qualities to ensure the best performance and safety characteristics when playing basketball. 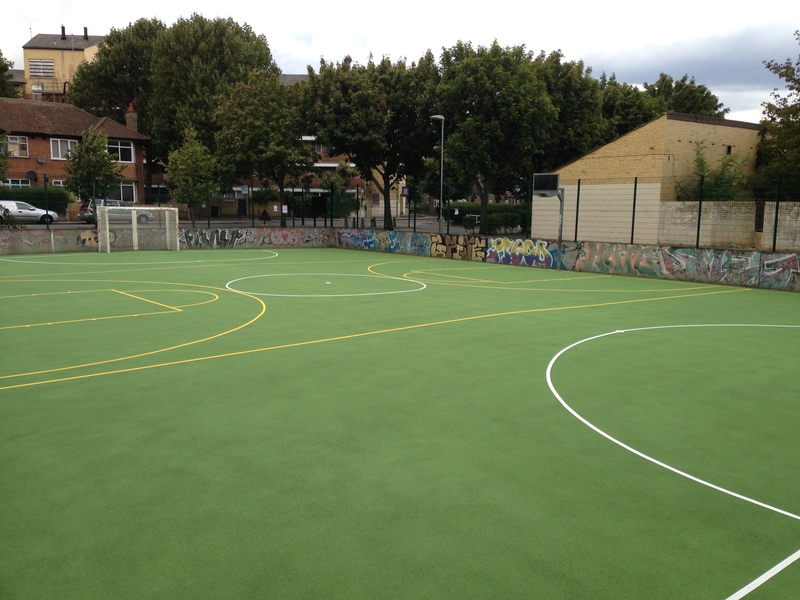 Line markings can also be applied for multiple sports in contrasting colours if you’re looking to install a multi use games area which caters for tennis and netball as well as basketball. 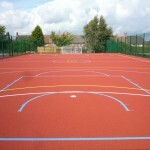 The basketball court line marking we supply can be applied in either polyurethane paint or acrylic paint depending on the surfacing specification of your sports facility, it’s important to have the right type of paint coating applied to ensure you get the best performance from the surface. Please fill in our contact form if you have any questions or you would like some more advice on these services. 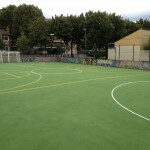 It is vital that you have basketball court line marking applications carried out by professional sports surfacing contractors who have specialist experience. 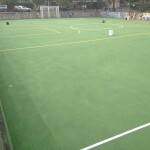 This is to ensure that the dimensions and sizes of the line markings are accurate and that the sports court meets the required performance and safety standards set out by the relevant sports governing bodies. 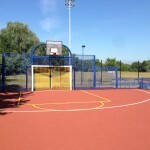 When you decide to have a basketball facility built at your school, club or leisure centre, the costs for basketball line marking are usually included within the overall price. 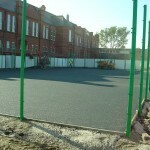 However the costs can vary depending on a number of factors including area size, site location and the surfacing specification of the court. 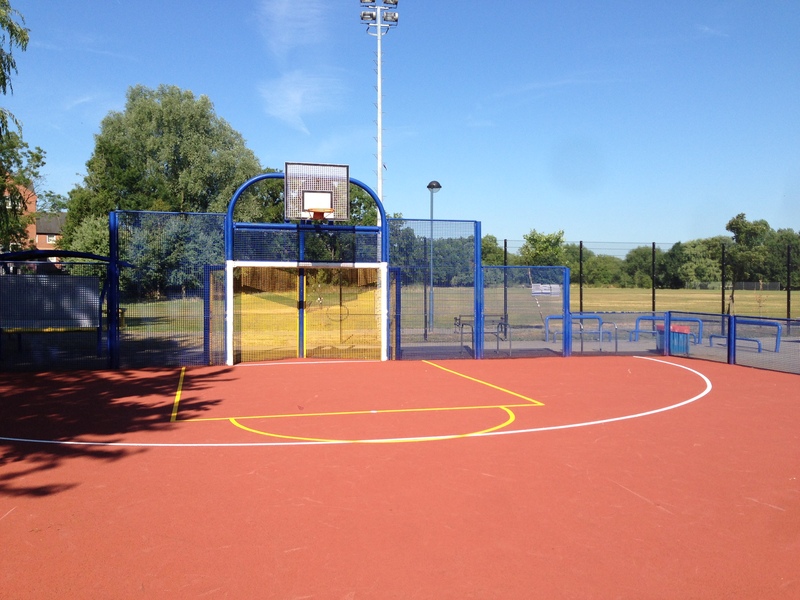 You can manage the costs of a full basketball court construction project through compromising on certain aspects of the installation such as the type of surface you choose to install and the specification any extra fencing or floodlighting equipment you require. Sports surface maintenance is extremely important if you want to maintain good performance and safety characteristics for the facility, whether it’s a multi use games area or a 3G football pitch. 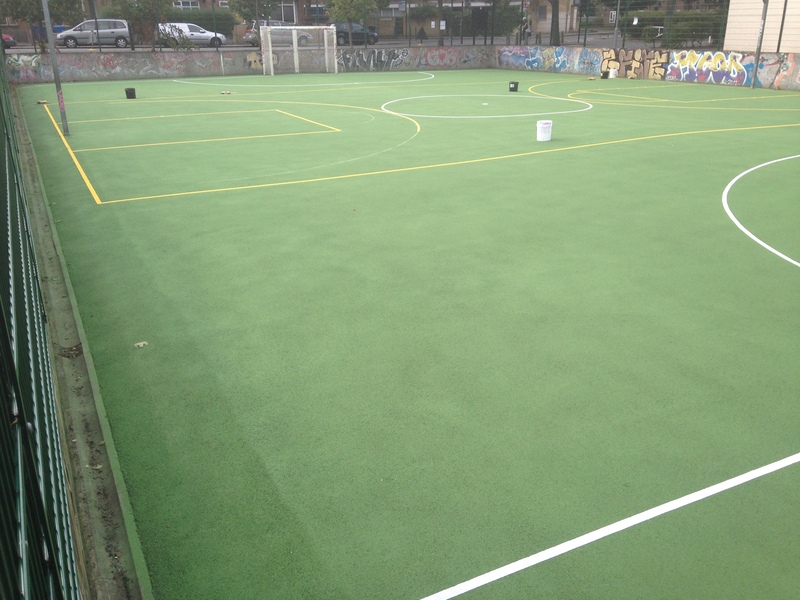 Regularly cleaning the basketball surfacing will also help to preserve the basketball court line marking and anti slip paint so it remains clear and bright for as long as possible without the need for repainting or reline marking. 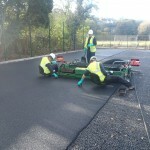 Basketball court maintenance can be seen as an investment into the overall facility as it ensures the surface is safe for players and reduces future costs of sports court repairs and resurfacing.